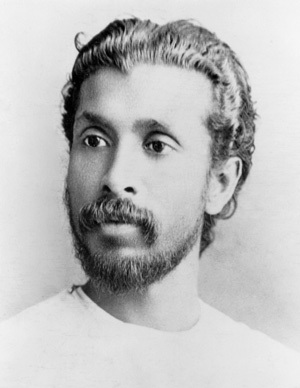 Dharmapala himself attributed all this to Madame Blavatsky, who he said encouraged him to begin his work for Buddhism. As any impartial history of the Theosophical Movement plainly shows, this is more or less exactly what happened. Dharmapala was by no means alone in voicing such sentiments and warnings. For over a century, thousands of Theosophists from all branches of the Movement have been doing the same. This website includes numerous articles and references to help people free themselves from the deceptions and delusions of Pseudo-Theosophy (a term coined by HPB). Some of the most important of these are The Unavoidable Facts about C.W. Leadbeater, Maitreya in the Light of Real Theosophy, The Final Mahatma Letter, 14 Good Reasons to reject the Alice Bailey Teachings, Tibetan Master or Christian Priest? (Uncovering the real inspiration behind the Alice Bailey Books), Alice Bailey and her Christianised Pseudo-Theosophy, The Closing Cycle, The “Etheric” Body Does Not Exist, Why stick to the Original?, Theosophy, The Jesuits & The Roman Catholic Church, and Theosophy: The Ancient Wisdom. For an explanation of Dharmapala’s comment about the so-called “Third Volume” of “The Secret Doctrine” being a fabrication of Annie Besant, please see the article titled The “Third Volume” of The Secret Doctrine. I became very interested in Theosophy after trying to read The Secret Doctrine. I managed to get to Adyar T S, I wanted to meet real Theosophists. After several months in Adyar, I came away feeling that the Theosophical Society in Adyar has lost the true teachings of H P B. I do not support Annie Besant or Charles W Leadbetter. I was deeply disappointed. I support what Anagarika Dharmapala has written on this subject. Thank you for sharing this Fern. Hopefully you are aware that there is much more to today’s Theosophical Movement than just “The Theosophical Society – Adyar”? The brief explanatory article “The Four Branches of the Theosophical Movement” at https://blavatskytheosophy.com/the-four-branches-of-the-theosophical-movement/ may be found useful. Those responsible for this website are connected with the United Lodge of Theosophists (ULT for short) which is the second largest international Theosophical association after the Adyar Society.